It is with my heart full of gratitude and a touch of sadness that I write today to tell you of my intention to end my campaign for the presidency. As a loyal friend and supporter it is important to me that you understand why I am doing this, even though you may disagree. For the past ten years I have dedicated my public life to the critical issue of illegal immigration. I believed then –as I do now—that massive uncontrolled illegal immigration threatens our survival as a nation. I could not stand by and let open border politicians and corporate lobbyists sell our country out to the highest bidder. Then earlier this year when I feared that the issue would not be championed by any of the top candidates I threw my hat in the ring. It was the only way I could be certain that the candidates would be forced to take a stand. Just last week Newsweek declared that "Anti-immigrant zealot [that would be me] had already won. Now even Dems dance to his no mas salsa tune. " This month alone The Economist, the New Yorker, the Wall Street Journal and a score of other newspapers have written similar assessments, grudgingly crediting our campaign with forcing the issue of immigration to the center of the national stage and -- more importantly -— with forcing every presidential candidate to commit themselves to an immigration plan that calls for securing the borders, opposing amnesty and enforcing the law. Of course, many of the candidates need to be pinned down on their understanding of the meaning of amnesty, but we have succeeded beyond my most optimistic expectations of a year ago. We even have Hillary jumping through hoops on the issue! So with so much success why drop out of the race now, you are probably asking. For one reason and one reason alone: I believe the cause demands I do so. The presidential campaign has come down to less than a handful of viable candidates. Unfortunately several of them have abysmal records on immigration and can’t be trusted to do what is needed to preserve this country if they’re elected. My fear is that if I were to stay in this race my votes could be the factor in handing victory to a pro-amnesty politician. Friends, we have done too much, come too far and the stakes are too high to play that hand. And so I am ending my presidential campaign. I know there are many more battles in our future and you can count on me to stay in this fight with you. We must continue to build the unquestioned momentum that is fueling our movement today. In the weeks ahead, I will write to you again to share with you my plans for the future, and for the immigration reform movement that is transforming American politics. But for now, I just wish to again express to you my deepest thanks and appreciation for your partnership with me in this historic effort. I also want to wish you a very blessed and merry Christmas! We have come so far together, and through our efforts we have made a stunning and, I believe, permanent impact on the debate over securing our borders and preserving our nation. Not a day has gone by in this campaign that I have not thanked God for the dedication of so many Americans like you. I can promise you that as long as He gives me life and strength, I will work hard for our cause and to honor the trust you have placed in me. “The consequences of uncontrolled immigration are far more serious than our leaders want us to believe. The safety of Americans and the security of our way of life are on the line. We need action now,” Tancredo said in a prepared statement today. 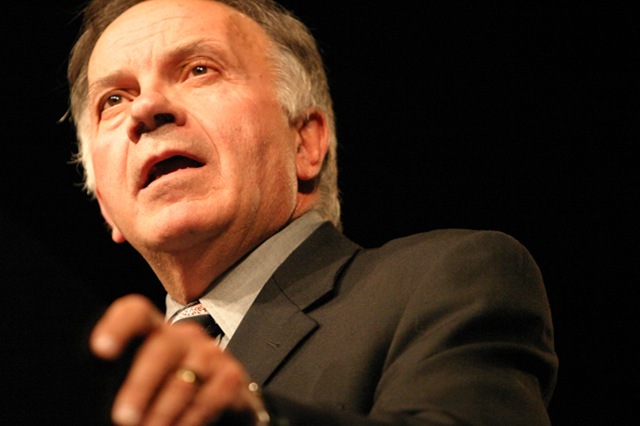 While the television ad was the main attraction, Tancredo also introduced a complimentary radio ad in which he outlines his plan to resolve the problem this country faces from the irresponsible policies of Washington. Con. Tancredo: Hi I’m Tom Tancredo and I approved this message because someone needs to say it. Voiceover: There are consequences to open borders beyond the 20 million aliens who have come to take our jobs. Islamic terrorists now freely roam U.S. soil, Jihadists who froth with hate here to do as they have in London, Spain, Russia. The price we pay for spineless politicians who refuse to defend our borders against those who come to kill. 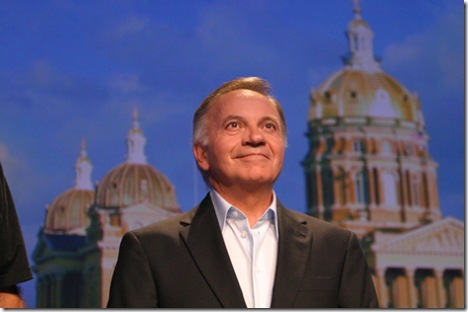 On Screen: Tancredo… before it’s too late. Con. Tancredo: According to FBI reports, Al-Qaeda may be planning to strike at shopping malls here in America later this year, and the candidates for president are talking about health care and energy policy? I’m Tom Tancredo and I say all issues pale in comparison to the fact that Islamic Jihadists are here and plotting our destruction. It’s time for real leadership in Washington, I will secure our borders and ports, I will stop all visa’s to nations that sponsor Terrorism and arrest and deport any alien who preaches violence and hatred whether that’s in coming from a Mosque or a street corner in a Mayday parade. I’ll prosecute those who provide sanctuary to anyone who would harm us, deport all those who do not belong here, and put the military on the border if necessary, to keep them from coming back. Leadership is about more than taking action after an attack, it’s about doing everything in your power to stop it, and I mean everything. This is Tom Tancredo and I approved this ad because someone has to say it. Female Voice: Paid for by Tancredo for a Secure America, call 1-888-GOTOM08 and ask for Rachael. 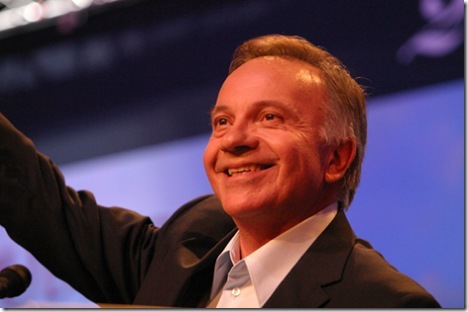 (Washington, D.C.) – The Tancredo Campaign filed its first matching funds submission today-for $1.606 million. In order to be eligible to receive matching funds, campaigns must reach a threshold of $100,000. The total amount must include $5,000 raised in 20 different states with a maximum donation of $250 from any individual. 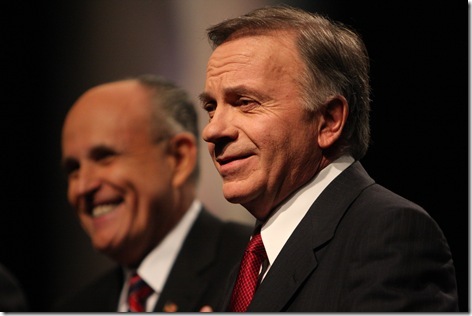 The Tancredo campaign was officially certified to receive matching funds on September 12, 2007. Submissions are made on the first working day of each month. Beginning in January 2008 funds are distributed by the U.S. Treasury Department. (Washington, D.C.) – Congressman Tom Tancredo (R- CO) rejoiced over today’s Supreme Court decision, ending partial birth abortions. In these abortions, usually performed late in a pregnancy, the infant’s skull is crushed and extracted from the womb. This ruling, won by a 5-4 margin, is the first major victory for pro-life activists since Chief Justice John Roberts and Justice Samuel Alito were appointed to the Supreme Court. Both of them voted in the majority, along with Justices Clarence Thomas, Antonin Scalia, and Anthony Kennedy.